In my previous blog post I wrote about the process of turning a manuscript into a book. In this follow-up I want to share what the marketing and publicity team at Little, Brown h ave done subsequently to get the word out. To get published by a traditional publisher seems a long process to many of my self-published friends. I signed the contract in November 2014 and my book will be published almost exactly 12 months after. The editing process that I described in my previous post finished in January. As a first-time author, it wasn’t clear to me in advance what the publisher does to get the book in the shops and in the hands of readers. A big Thank-You goes to Kate Doran and Florence Partridge at Little, Brown for guiding me through this. 9 months out from publication there is a planning meeting to discuss positioning and strategy for the book. At this point the cover should have already been briefed. 6 months out we present a digital sales brochure to the key account managers for each retailer and also to our reps. The key account managers cover every retailer from Waterstones, WH Smith and Amazon to the supermarkets. Our team of sales reps also look after different areas of the country and visit individual bookstores to hand-sell titles – Little, Brown is one of the few publishers still to have a strong field sales team and this can make a huge difference in getting support for a book from the grass roots up. At this point we will also meet with the author to discuss initial marketing and publicity ideas. 2 – 3 months before publication we will try to finalize our plans. Not all books are supported by a big paid advertising campaign so we are increasingly looking for more creative ways market our books, working closely with the author to do so. One of the creative ways that Little, Brown uses – and this is worth checking out for self-published authors too – is NetGalley, where bloggers, librarians, reviewers and (more and more) buyers from bookstores can download an ebook version of the book for free, once they have been approved. For my book this has meant that I got a number of Goodreads reviews before the book was even released and 35 people liked the cover. 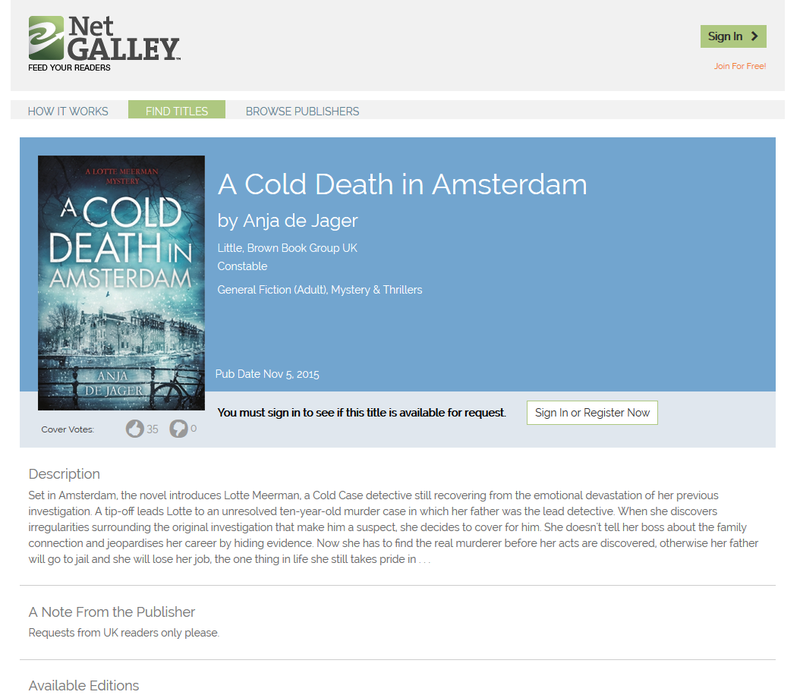 Clearly having a publisher is a huge advantage as they have built an audience on Netgalley – with 800 followers – which gave my novel instant visibility. In addition, Florence, my publicist, sent out ARCs (Advance Review Copies) to a group of reviewers, followed by a wider mailing once she got the hardback. This happens about five weeks before the launch. We won’t know how many (if any) reviews we’ll get until much closer to the launch date (fingers crossed). Being published by Constable, which is part of Little, Brown, has given me access to a lot of wonderful people who help me with publicity and marketing. 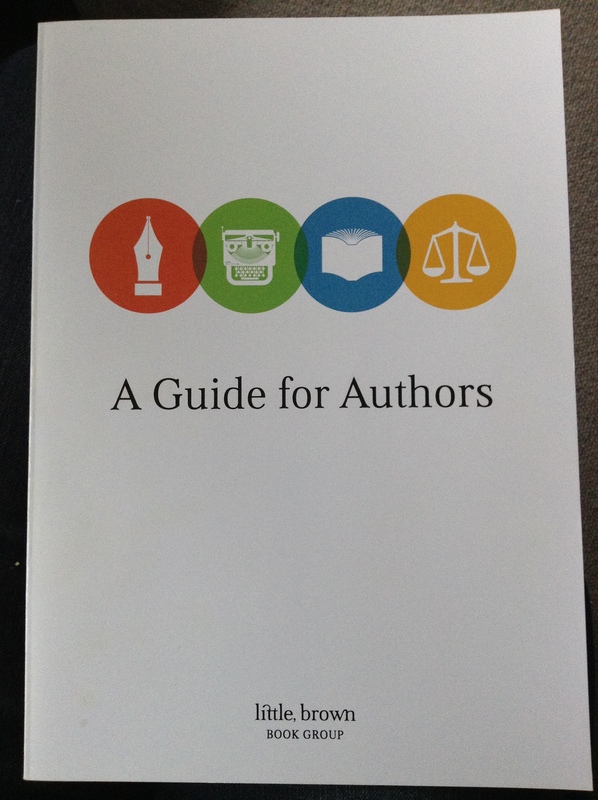 The publisher’s presence on sites like Goodreads, Netgalley and Crime Vault – their own crime newsletter- showcases my book to a captive audience, which a self-published author has to (and can!) build themselves through blogs, twitter, Facebook and Goodreads. But as marketing budgets have shrunk, it’s as crucial for traditionally published authors to build up their profile and have a digital presence. Of course time is limited and when I’m writing blog posts, I’m not working on my next novel. But being part of a discussion about publishing has been really gratifying. I hope that sharing my experiences has helped other authors out there. Do get in touch if there’s anything else you’d like to know. If I don’t have the answer, at least I can ask some people who do! ← What has my publisher done for me? Dear Anja, Very recently I drifted the Atlantic in a lazy haze of feeding and reading i.e. aboard the Queen Mary 2 heading for New York. So time to eat in abundance, but more importantly, yes time to read and discover new authors. Luckily I bumped into Cold Death on my first library outing and…. we thoroughly enjoyed our brief time together. I read it in a day – I had the time and the inclination! Well the narrative hummed while the imagery strummed such an entertaining literary tune. I have always enjoyed original imagery and you have a rare talent in that department. I would imagine you discovered the joys of simile, metaphor and personification with relish and that poetry might have played a considerable part in developing your talent! So looking forward to further outings with Lotte and wondering what else you might have written? Dear Ian, I love hearing where people read my books, so thanks for getting in touch and letting me know that you read it whilst on a ship to New York! The next Lotte book will be out in paperback on 9th September, so in about three weeks’ time.